Thanks to a brake mount, you can install an additional foot-operated brake once your child can glide with his/her feet on the footrests. These footrests are positioned below the seat for the natural balancing. The saddle is too stiff. 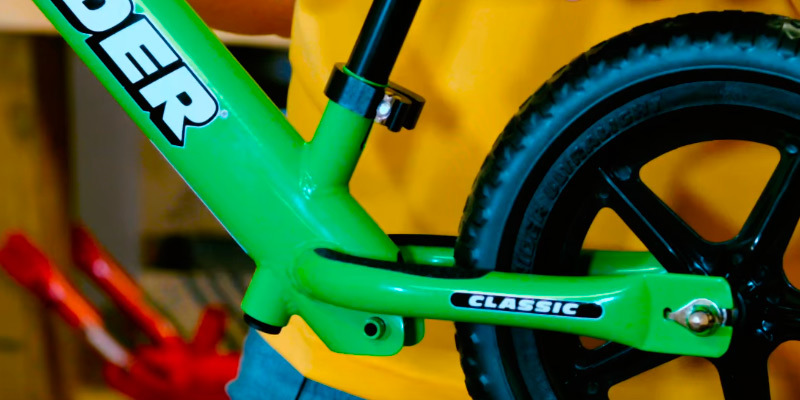 The Strider classic no-pedal bike is great for the smallest riders from 18 months. It will help them increase their sense of balance and develop cycling confidence in a fun and engaging way. With comfortable handlebar grips, crash pad, and unique braking system, this is one of the safest learning bikes on the market. Plus, it has no valve caps and other swallowable small parts. The pneumatic tyres might get punctured. 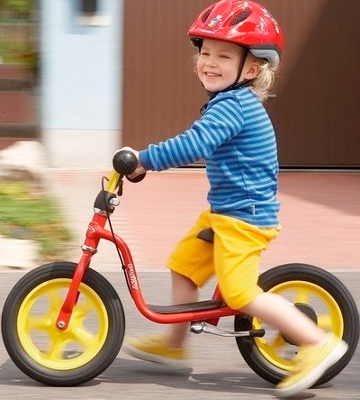 The Puky balance bike is a bright example of German quality. Everything here is thought-out to the smallest details. This super-safe and super-durable two-wheeler is perfect for 3+ girls and boys. The bicycle is made of eco-friendly material, birch plywood. Also, it features a cut-out carry-handle frame that makes it easier for parents to carry this two-wheeler if their kid wants to rest. 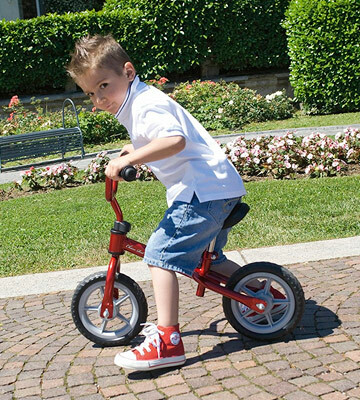 The Boppi balance training bike is an environmentally friendly solution that will surely appeal to your little one. It has a comfy padded seat and is offered in more than 10 funky designs. The bike is fitted with a nicely padded saddle and a handlebar. The handlebar is pretty wide, which allows children to ride over difficult terrains much easier. The paint might scuff after the first falls. The Chicco Red Bullet cycle is one of the best options for the kid’s balance and motor development. It comes at an affordable price and has no extra frills. It just does what it's made for! 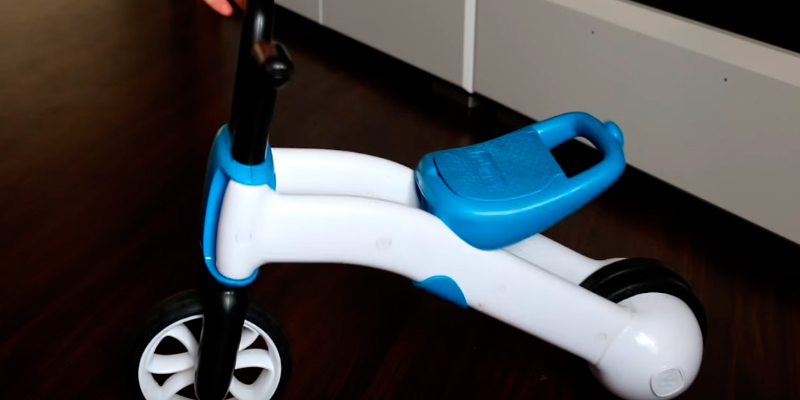 This is a unique 2-in-1 no-pedal cycle that will gradually teach your toddler how to balance. 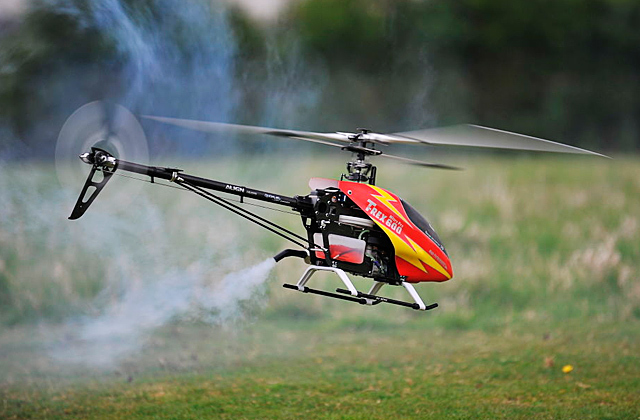 It can be switched between 3-wheel mode and 2-wheel mode in just a matter of seconds. It suits kids up to 3 years only. 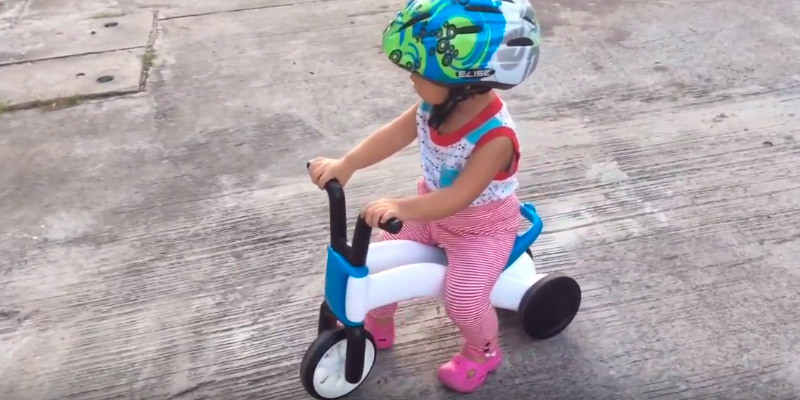 Once your tot begins to walk, you can get this cute 2-in-1 bike to teach him/her how to balance and ride on three wheels. When your child feels confident, you can easily make a switch to two wheels. So smart! 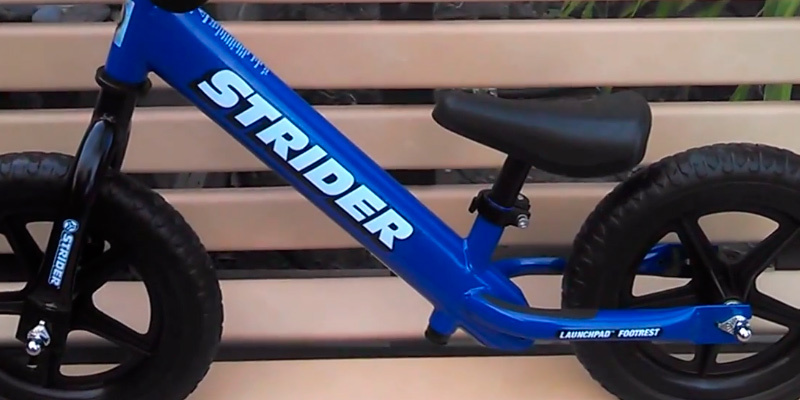 The Strider balance bike is one of the lightest and smallest models on the market! 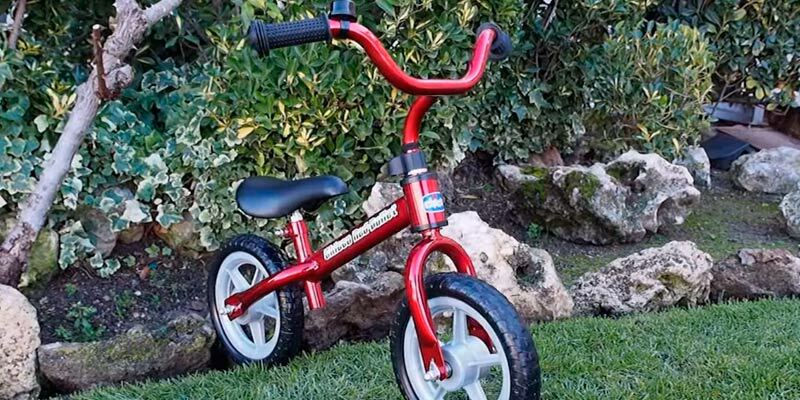 Toddlers as young as 18 months can ride this simple and durable bike. 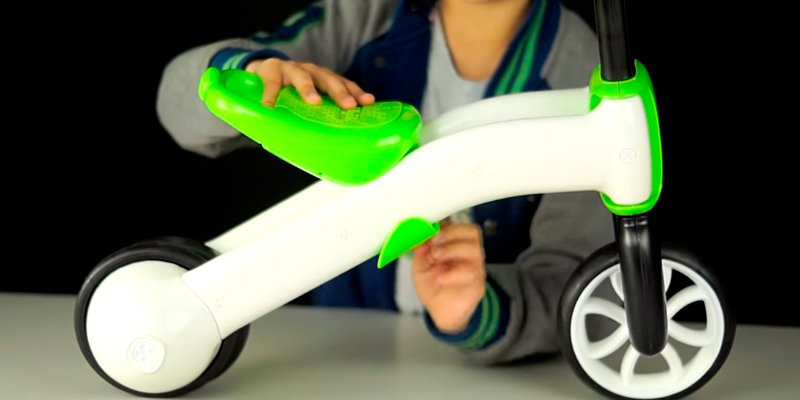 Its lightweight and pedal-less design enables kids to easily straddle or propel the bike by running or walking. This two-wheeler is not only easy to ride but also easy to customise for your child. It features an adjustable seat and a handlebar. The minimum seat height of 28 cm is great for the smallest, while the extended 40 cm seat post is good for 3-year-olds. The seat is made of all-weather plastic, which means it won’t rip or tear over time. The handlebar is also adjustable and nicely padded, thus your kid won't get blisters after riding for too long. At 3 kg only, the bike is pretty easy to manoeuvre and handle. Apart from being lightweight, the bike has a well-designed geometry. It provides ample space between the seat and handlebars so that children can comfortably lean forward and run. The manufacturer located the seat pretty close to the rear tire. This makes the bike easier to control and balance. 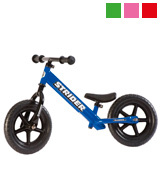 So, if the comfort and safety of your child is something you can't compromise on, this Strider bike is your choice! 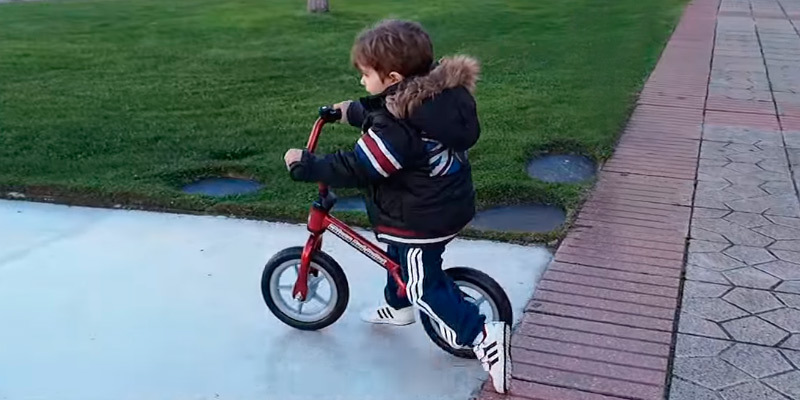 This skill-building bike can really grow with your child! If you want, you can get an extension seat post additionally for 4+ children. Additionally, the bike is equipped with a non-intrusive launchpad footrest with a grip tape. 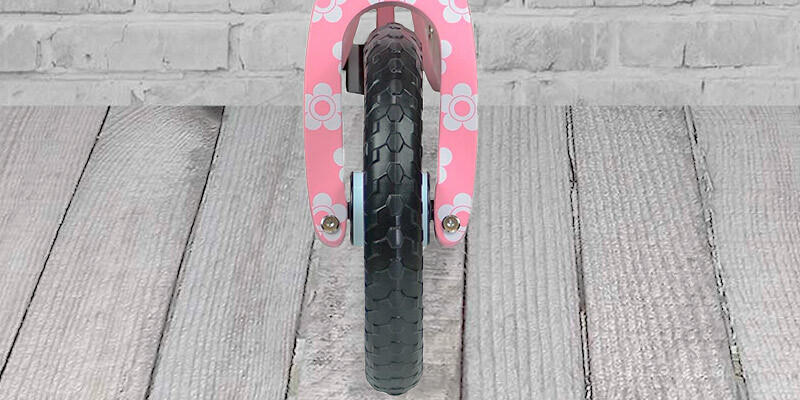 Of course, footrests are not essential on balance bikes but they can help your kids further develop riding skills. Strider’s footrests are tucked in below the seat and are completely out of the way during a ride. 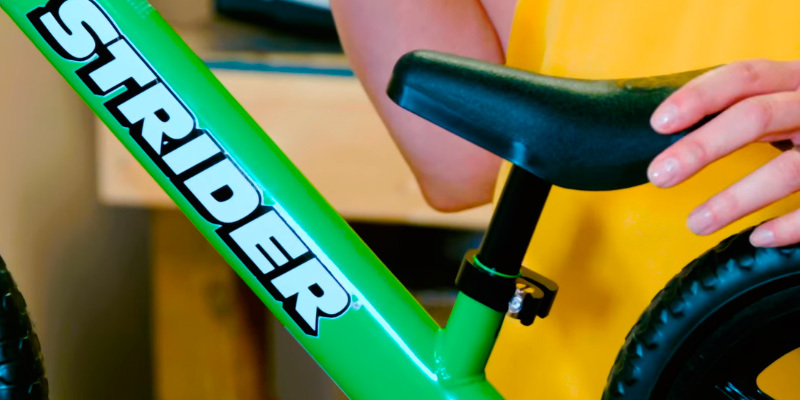 Once children can proficiently glide with their feet on the footrests, Strider offers customers an exclusive opportunity to add a foot-operated brake to this bike. Thanks to the rear brake mount, you can purchase a unique footbrake separately and install it at the base of the seat post in a matter of minutes. Your kids will be able to easily activate it with their heels. The tyres on this bike are made of lightweight foam, meaning they can roll on any terrain and never go flat. They are solid and maintenance-free - you won't need to worry about punctures or about the pressure going down. Unlike many lower-end models, Strider’s tyres boast good traction yet have some limitations. They might lose traction on smooth gym floors but perform amazingly well on paved surfaces. Parents all around the world choose Puky learning bikes for a good reason. They appreciate the unique safety features, reliability, thought-out design, and of course “Made in Germany” quality! The LR 1L Br balance bike is Puky’s best-selling model. Being just 5.2 kg, this two-wheeler can support up to 25 kg and is suitable for 3+ children. 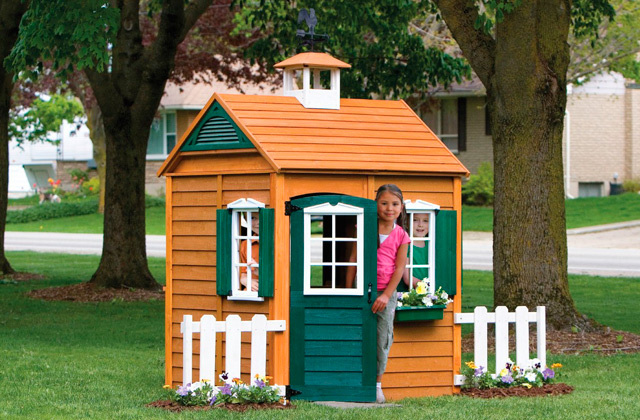 Its frame features low step through and a convenient foot platform. The stride length of this bike is 35 cm, which is optimal for kids from 90 cm. The manufacturer has equipped the bike with a special learner saddle that is ergonomically shaped for the ultimate comfort. The seat and handlebar are adjustable in height to accommodate your growing rider. The bike uses pneumatic tyres that provide a good level of cushioning and traction on any surface. We would like to note that steering and wheel hubs boast sealed precision ball bearings. Yet, the zest of this model is its child-friendly brake system. The bike comes equipped with a handbrake lever that can stop a rear wheel if a need be. 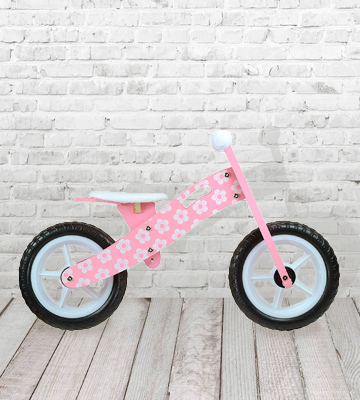 This bike from Puky has an adjustable seat and a handlebar, so it can be customised precisely for your child. And now we will try to cover how to do it correctly. First of all, you should regulate the seat so that the sole of your child‘s foot can reach the ground if his/her legs are slightly bent during a ride. After customising the seat position, you need to adjust the handlebar. Your kid should be able to sit as upright as possible and easily reach the handlebar. His/her arms should be slightly bent, not fully extended. This way your little rider will have an optimal field of view (the viewing angle is drawn to the floor if the handlebar is too low). Also, don't forget to observe the minimum insertion depth marks for a saddle stem and a handlebar (min. 60 mm). There is hardly any risk if kids ride a learning bicycle in accordance with all the instructions. So, kids should be carefully guided on how to use this bike correctly. Of course, parents shouldn't have the false sense of security and must always supervise their children, since their natural need of movement might cause unpredictable situations. It's advisable to wear closed shoes when riding the bike. Also, it's a good idea to equip your child with a safety helmet and protective elbow pads. A learning bicycle must not be used near downhill slopes, sloping areas, stairs, swimming pools, etc. Let your children use the bike only in a suitable playground or other safe areas. Keep away from using it on public roads. 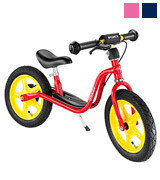 The Boppi® brand is well-known for producing high-quality kids' products, and this training bike is another example. 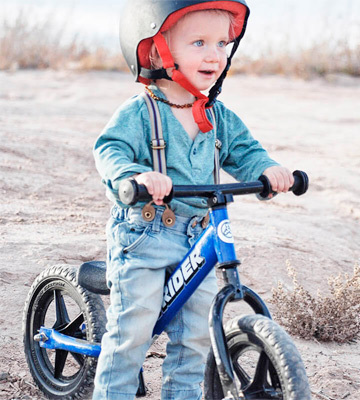 It can help your little rider gain confidence and improve the sense of balance, coordination, and stability before making the jump to a pedal bicycle. This two-wheeler is fine for 2+ kids under 115 cm. The seat can be adjusted from 39 to 44 cm to grow as your kid does. You'll like the fact that the saddle is not only customizable but also well-padded and comfy. The non-slip hand handles are also made of soft rubber and can provide your child with superior comfort while riding. Of course, the seat height range is shorter compared to metal bikes, but that's a minor sacrifice taking into account that this bike is made of natural solid birch plywood. 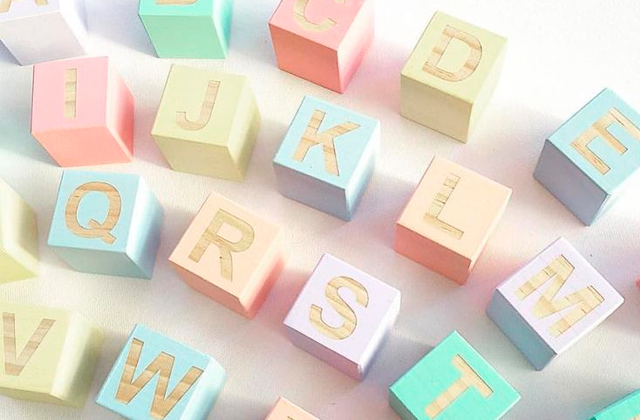 This material is environmentally friendly and safe for kids. Also, it gives the bike a premium elegant look. 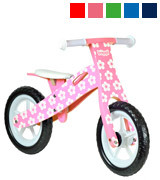 The bike is offered in various funky designs, and one of them will definitely appeal to your little cyclist. This starter bike comes with 12-inch wheels and hard EVA foam tyres. This material is common on lots of learning bicycles, since it requires low maintenance and can't get punctured or go flat. The Boppi bike is suitable for indoor or outdoor terrain, but you should bear in mind that it's not that great for going off-road. It won't perform well on gravel or sand, but it will handle pavements and paths perfectly. At 2.1kg, the Boppi® wooden bicycle is one of the lightest balance bikes out there! It's extremely easy to manoeuvre by small children. However, it's comfortable not only for kids but for their parents as well. 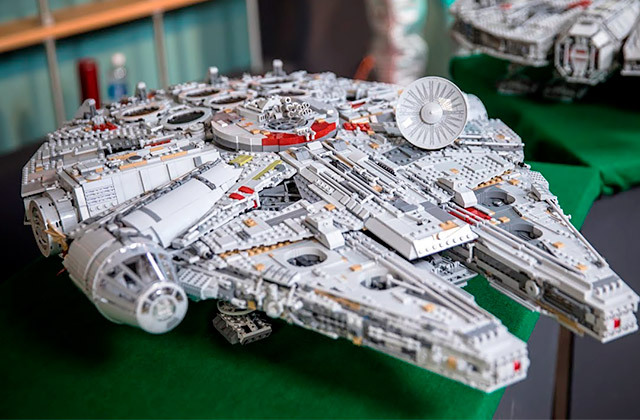 It's well-made and has an almost fool-proof design. 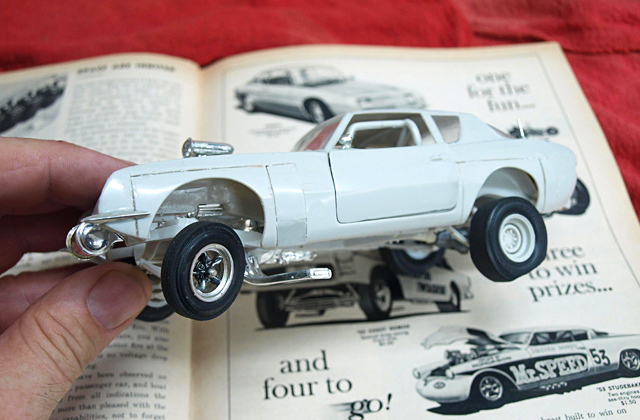 The frame and parts are very easy to assemble - everyone can do it without extra assistance in just a few minutes. The bicycle is supplied with all instructions and assembly tools. 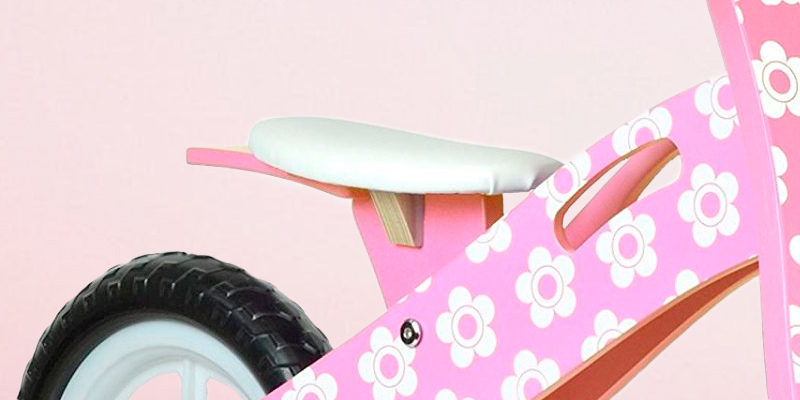 We would like to point out that the bike features a cut-out carry-handle frame that makes it easier for parents to carry the bicycle if their kid gets tired. If you don't want to spend a fortune on the first vehicle for your child but still want it to be durable and reliable, the Chicco Bullet Balance Bike is your choice! It has a minimal design without all those bells and whistles, it just does what it's intended for. The bike teaches children how to balance and ride on two wheels without pedals or additional wheels. Kids can straddle the bike with both their feet on the ground and easily propel it. This way they learn how to balance, lean, steer and coordinate. The Chicco training bike will certainly help your little ones acquire confident cycling skills and prepare them for the transition to a "real" bike. It has an all-metal frame and looks like an actual bike without pedals. This design will make your kid feel like he/she rides the one that looks exactly like mom's or dad's bike. All children like copying their parents, so your little cyclist will definitely be happy to own this cycle. This fabulous little bike is supplied in four pieces, which makes the assembly pretty straightforward. The package includes a wrench that will help you put all parts together in about a few minutes. The frame of the bike is very solid and a bit on the heavy side. Weighing about 4 kg, it is not one of the lightest models you’ll come across but it’s very durable and stable. 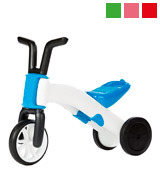 The bike is suitable for kids aged from 3 to 5 years old. The wide bike’s saddle is nicely padded for long hours of the comfortable ride. The seat post can be adjusted from 33 to 38 cm. 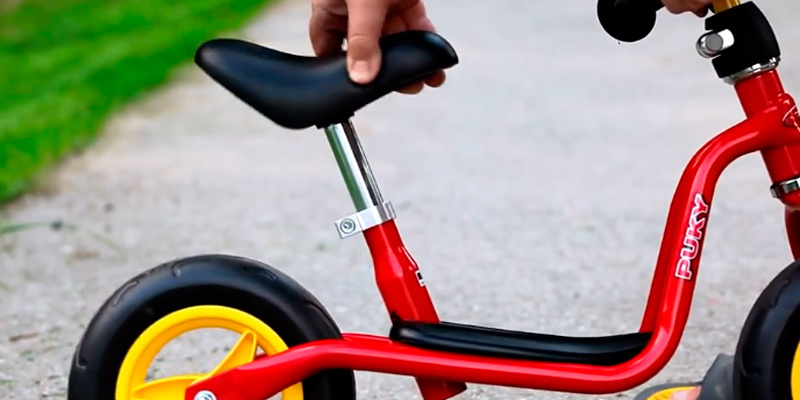 The handlebar does turn quite easily to help children steer quickly. Set the right saddle and handlebar height for a comfortable and efficient ride. However, keep in mind that kids grow quickly, so you should customize the bike every couple months. Your child will instinctively throw a leg over the bike. Encourage him or her and to do this and praise for this. Your kid feels insecure? You can support your child but not the bike. 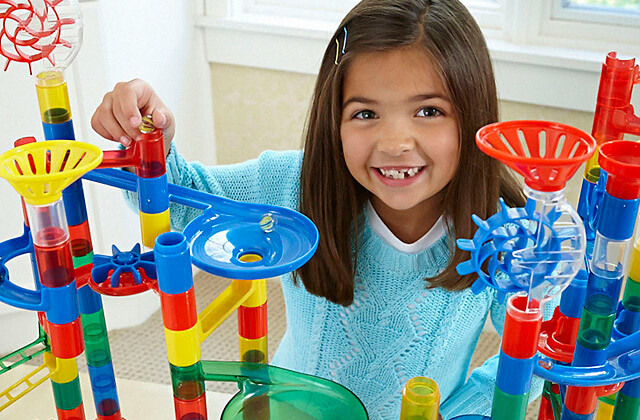 If you support the balance bicycle when it tips to one side, it will hinder your child's ability to gain balance. Enjoy your time together, talking and sharing the experience of how to ride a bike. 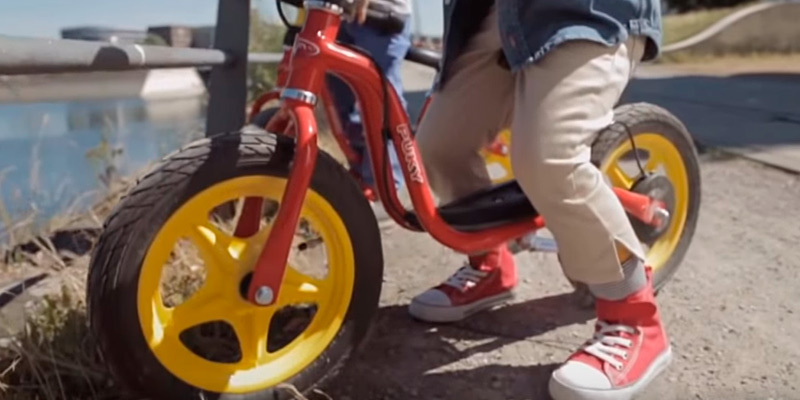 Meet the unique balance bike from Chillafish, the BUNZI 2-in-1 Gradual Balance Bike and Tricycle. As the name suggests, this is an innovative product that combines two-wheeler and three-wheeler in one. With its smart design and compact size, the BUNZI 2-in-1 bike is fantastic for the smallest tots who have just started to walk. This cute cycle fits toddlers from 1 to 3 years old. Made of high-quality ABS-plastic, the bike is incredibly light and manoeuvrable. It's fairly easy to carry and ride. Although the frame is entirely produced from plastic, it's solid and durable enough to endure the rigours of travels. Plus, the hard plastic is very easy to clean. You can simply wipe the bike with a damp cloth after each use to make it shine like brand new. The bike is fitted with nice bunny-style handle bars that will certainly appeal to your kids and encourage them to steer and move. 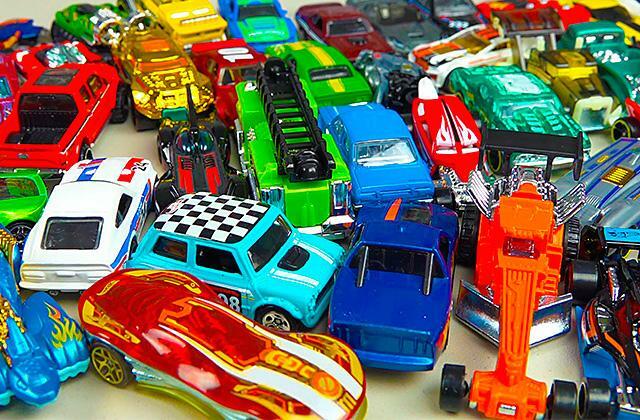 Your small riders will also find a tiny storage trunk in the seat very handy. It's a great place to store some cookies or favourite stickers during adventurous rides. As we have already mentioned, this is a unique model that can act both as a balance bicycle and a tricycle. The switch is incredibly simple and intuitive. You can quickly convert it to a two-wheel mode just by unscrewing the saddle and spinning the wheels around. Note that the seat position differs in these two modes. 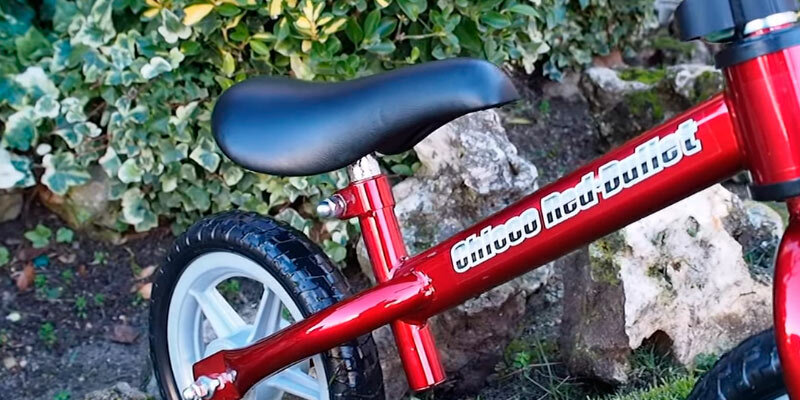 If used as a balance bike, the saddle is positioned lower to the ground to ensure maximum comfort. In the tricycle mode, the seat rests higher to provide higher speed while riding (25cm in 2-wheel mode, 22cm in 3-wheel mode). 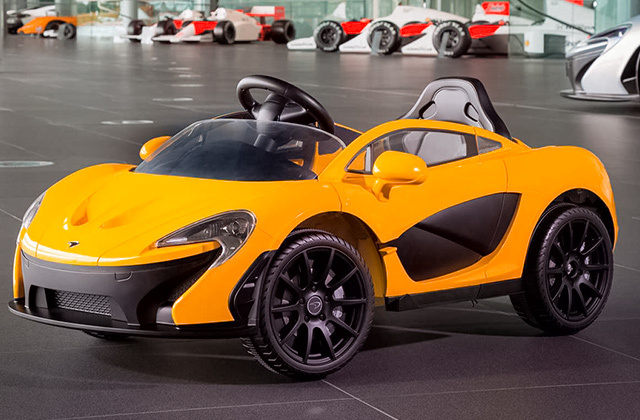 We suggest starting with 3-wheel mode and then jump to 2-wheel mode when your kid is ready. If needed, you can always switch back or forth. The Bunzi cycle comes equipped with anti-skid non-marking synthetic rubber tyres. They run smoothly and silently without leaving marks and scratches on wooden floors. They perform nicely not only indoors but outdoors as well. Since the tyres are skid-free, they go equally well even on rough bumpy terrains. In addition, they make the bike very easy to control - your child will be able to stop it immediately wherever he or she wants. Both kids and adults like to spend time outdoors and the best way to do this is to get on a bike and set off for a short trip around the town, down the forest, etc. 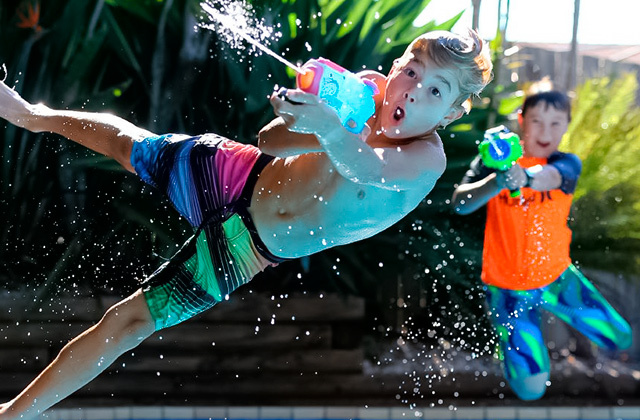 In this review, we’d like to present you the selection of the 5 best balance bikes, a new sports gear that allows small kids to grasp balance on a two-wheeled vehicle without pedalling but with pushing it backwards or forwards. The beauty of all balance bikes is that most of them can grow with your child and enable a much easier transition to a bigger bike than with a tricycle. Most balance bikes are small in size and have a seat on them for comfortable riding. These bikes can be walked, stopped with a foot and glided, with a kid standing on a platform and balancing on 2 wheels. Having purchased a balance bike, you’ll let your child learn how to ride a bike in much easier and fun way. If your family loves to cycle and you do this on a regular basis, get on a hybrid bike and see how versatile and fascinating the routine cycling can be. Also, don't forget to buy a bike helmet to protect yourself from accidental injuries while bicycling. First and foremost, you should pay attention to size and weight when choosing a balance bike for your kid. It's unlikely that you find the bike that will fit both a toddler and a preschooler. So, you should consider the overall weight, seat height, and tyre size. Most entry-level bikes have 12″ tires, while 16″ tires suit tall pre-schoolers. Still, the most important feature is the seat height as it determines whether a bike will fit your little one. Your kid should be able to hit and push off his/her feet of the ground while sitting comfortably on the saddle. Almost all models have extendable seat posts that allow children to ride a no-pedal bile till the moment they can move up to a regular bike. Also, don't forget to check the weight of a bike. It shouldn't be more than 30% of your kid’s weight. Bicycles may be made of composite materials, metal alloys, and even wood. Composite frames are extremely lightweight but they might bend under older kids (5+). They are excellent for starter bikes. Metal bicycles are produced from aluminium or steel alloys which affect the weight and max load of the bike. 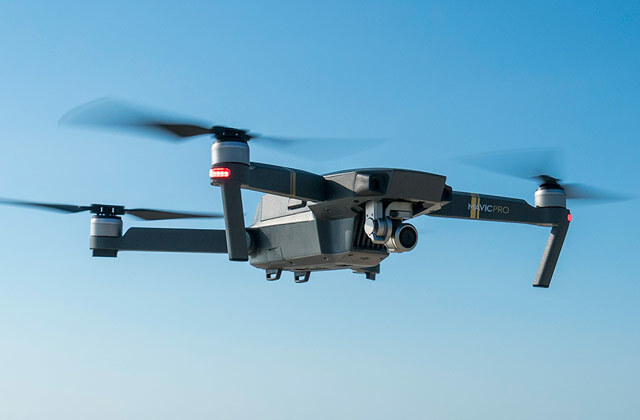 Aluminum alloys are pretty strong and light - they are often used for the production of higher-end models, while steel frames are heavier but cheaper. As for wood bikes, they are environmentally-friendly but not that durable. If not maintained properly, they tend to fall apart quickly. Speaking of tyres, we would like to mention that there are 4 main types of them: rubber, air, foam, and plastic. Air tyres with various treads ensure the best traction on any surface. However, they add about 1.5 kg to the total weight of a bike and are prone to punctures. EVA foam tyres are solid, light and they never go flat. Yet, they provide a low level of cushioning and limited traction. Rubber tires are also puncture-proof but they have taken a small step up from foam tires in terms of traction. Plastic tyres are the lightest of all. They are suitable for indoor use only, since they provide no traction and cushioning at all. Some bells and whistles like padded grips, additional brakes, turning limiters, and footrest can add comfort and safety to a ride. Hand brakes can help you prevent an injury. Almost all 3-year-olds can already use brakes along with their feet for quicker and safer stops. Turning limiters can prevent the handlebar from a full revolution, thus, preventing sharp turns. 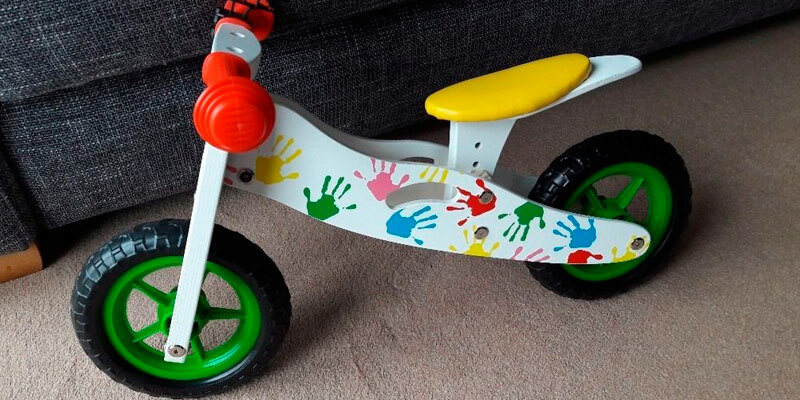 Almost all handlebars are padded and fitted with knobby ends to protect your children's hands if they accidentally run into a wall or any other obstacle. Most grips have protective bumpers which also add to the safety dramatically. Q: What is the main purpose of a balance bike? A: It's a skill-building bike aimed to give kids more confidence when "riding" and help them develop their sense of balance. This type of bicycle help children learn to ride on two wheels. They can straddle or propel the bike by running or walking. 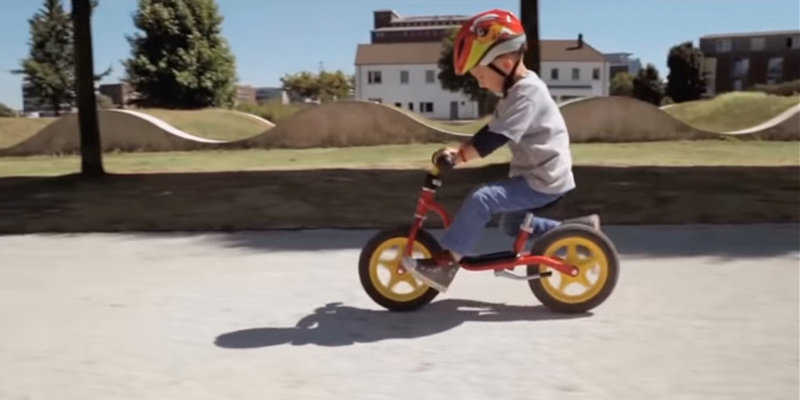 Such method helps kids lean, steer, and balance a bike without pedals or training wheels. 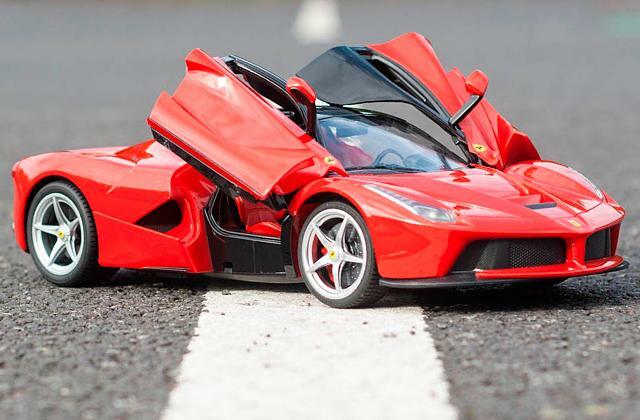 Your little one will learn to ride in a fun and engaging way! Q: Where can my child ride this bike? A: Almost on any surface! However, as this type of bike is usually used by small children, it's better to let them ride it on safe roads, open grounds, school’s playgrounds, etc. Also, keep in mind that foam tyres are not very good for non-paved surfaces. Q: Is there any risk of riding a balance bicycle? A: It's one of the safest types of bikes, yet your child needs your close supervision while riding it. 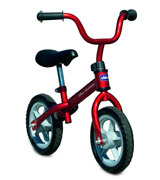 Keep away from taking balance bike to steep slopes or overcrowded roads. Also, it's a good idea to get a helmet and protective elbow/knee pads. Q: Does my kid need brakes on a bike? A: Not all bikes come with brakes because 2-year-olds are unlikely to have enough hand/eye coordination to use them. So, if your child is 2 years old or younger, he/she will still use feet as the main tool for braking. Q: How to take care of kids balance bikes? A: Like other types of bikes, balance models should be wiped from dirt with a soft cloth every time after riding. Also, you should make sure that all the hardware is tight enough to minimise the possibility of scratches. Repair or replace the tyres once they are punctured. Q: How high should a handlebar and a seat be? A: You need to set a handlebar at the lowest setting for 18-24-month kids. A mid-height position is good for 36 - 48-month-olds, and the highest setting fits 48+ months children. A handlebar should be somewhere about mid-torso. As for a proper seat height, your kid should sit on the saddle with feet flat on the ground, having slightly bend knees. If you planning a long-distance striding, you can adjust the seat slightly up. Q: How to make a transition to a pedal bike? A: Don't hustle your kid into a transition. Once a pedal bike becomes more fun for your small rider, he or she will make the switch. The first pedal bike should be as simple and lightweight as possible. Choose a very basic frame design without all those extra frills. Extras will only add weight to a bike. If a bicycle is too bulky and heavy, it's too uncomfortable and unsafe. 1. Cadel Evans How to choose a balance bike for your child, be. magazine. July 11, 2016. 2. Cadel Evans How to choose a balance bike for your child, Medibank. July 11, 2016. 3. How to Choose a Balance Bike? Decathlon UK. July 21, 2016. 4. 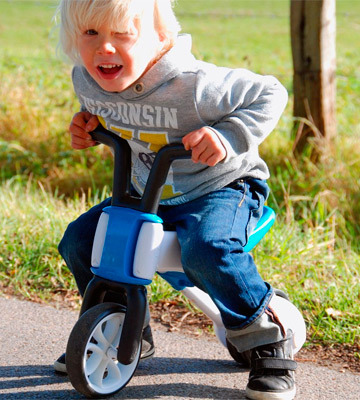 Ivor Morgenstern Tricycle or Balance Bike – What Does Your Toddler Need? Icebike. 5. How to Teach a Child to Ride a Bike, REI. October 28, 2016.